Welcome to our practice. Here at White Mountain Smiles we know how to take care of our patients. Each patient to us is an individual, with individual needs, fears, and concerns. That’s why we make each and every patient experience in our office our main focus. We strive to provide you with the most personal, most relaxing, most comfortable dental experience you can possibly have. Our commitment to our patients is unmatched in the White Mountains. 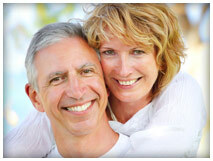 Along with a great experience you can expect us to approach your dental care from a comprehensive level. “That was the most thorough dental visit I have ever had” and “Thank you for spending so much time with me” are common compliments heard everyday in our office. Whether it’s a simple filling, a new set of dentures, or a beautiful new smile, you can always expect the same level of care and comfort we have become known for in the White Mountains. Please spend some time on our website and learn a little more about us. If you have any questions about our office or services, or would like to schedule an appointment, please give us a call. We gladly accept new patients from Show Low, Pinetop, Lakeside, and the surrounding areas. We know we can exceed your expectations! To request an appointment please call: 928.532.7669 or fill out this simple form and we’ll contact you. © Copyright 2019 White Mountain Smiles. All Rights Reserved.